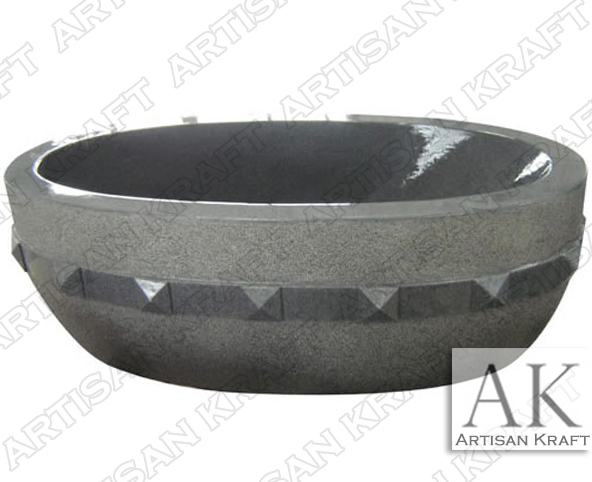 The Grey Granite Freestanding tub is a bold statement. Relax and enjoy the soaking angle in the tub. Granite is one of the most durable and strongest stones. This bath will last for hundreds of years. Order a custom size. This freestanding tub can be accommodated throughout the bath. Add a pedestal base for a different look. View more granite tubs here.